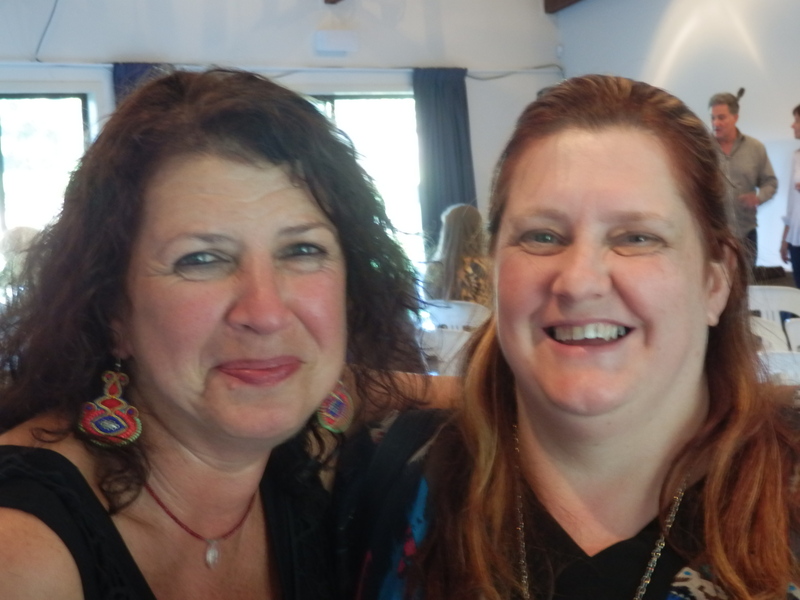 One thing I’ve learned from being a member of Romance Writers of Australia is the power of writerly relationships and the importance of networking. Every step on our road to publication, we have teachers, mentors, supporters, critique partners, beta-readers and friends guiding us, supporting us, consoling us and celebrating with us. It is important to honour and nurture these relationships, no matter how big or small the contribution the person has made on your writing journey. Following the acceptance of the short story version of Beyond Happily Ever After by Wet Ink magazine, I had a new confidence. I was able to introduce myself to authors as a writer, and set about having my photo taken with authors as something to aspire too. 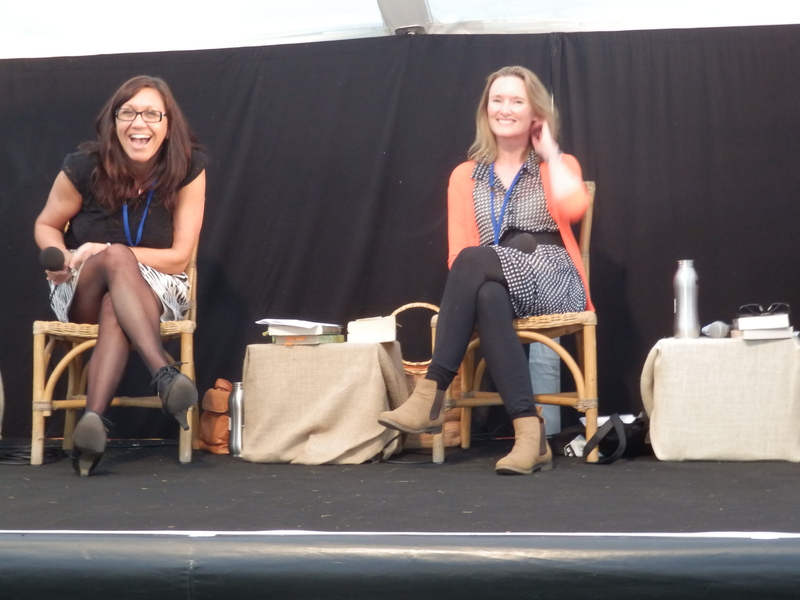 This year at the Byron Bay Writers Festival, I made a conscious decision to seek out some wonderful ladies who have taught me and encouraged me in the past year: to re-connect, to thank them and to update them on my writing journey. 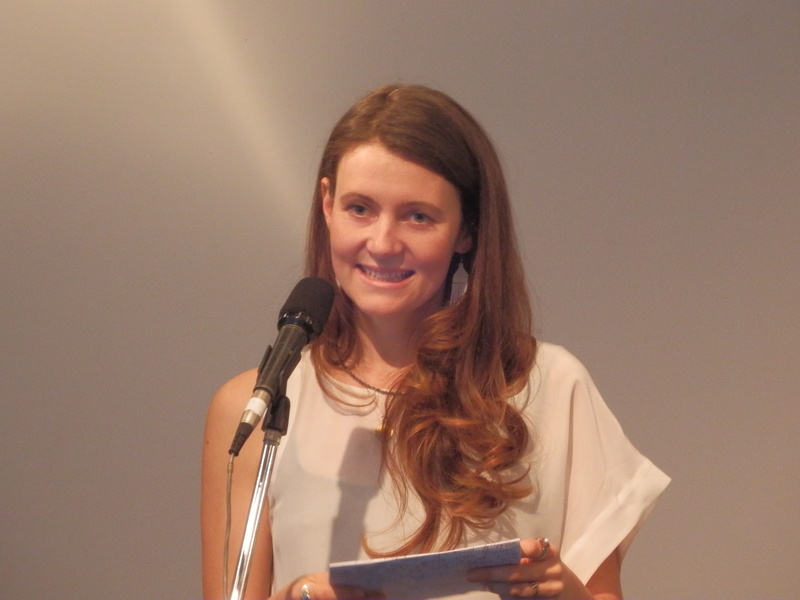 In July 2012, Cate Kennedy gave a workshop in Coffs Harbour and was very encouraging about my Cinderella story. I sat in on one of her sessions in Byron Bay and managed a quick hello at the end of it. Fairy godmothers are over-rated. Real magic begins when you’re true to yourself. I’ve had this printed on my new business cards and I presented one to Shelley when I caught up with her at Byron Bay Writers Festival. I also attended the book launch of The Inevitability of Stars by Kathryn R Lyster, a newly published author and one of Shelley’s Editing in Paradise alumni. It was touching to see how moved Shelley was, and how invested she was in Kathryn’s achievement. The book launch was a beautiful celebration of Kathryn’s success and I’m happy to have attended (and purchased the novel). 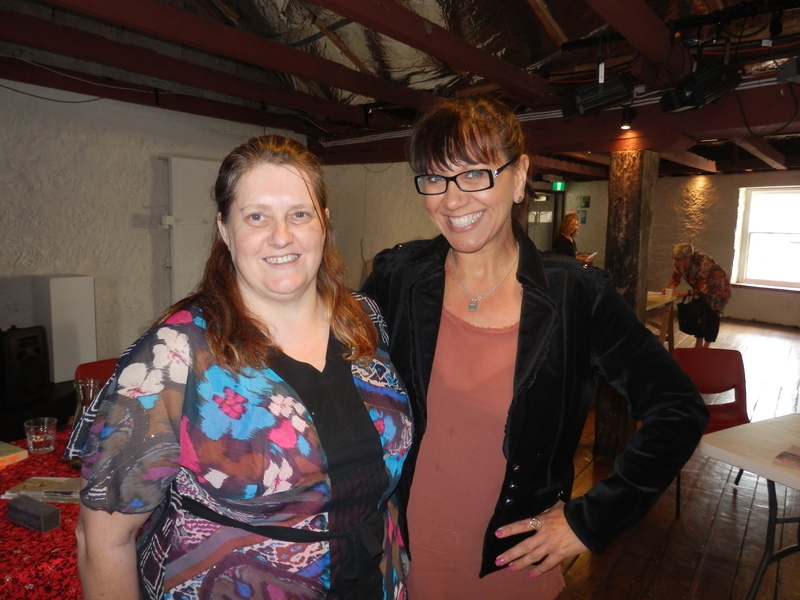 I also attended the Chick Lit Mass Market session which included Anita Heiss on the panel, who gave the Chick Lit Masterclass I attended in March in Hobart. The session was funny (as evidenced by the picture below) and even though I wondered about the token male writers on the panel, they were just as funny. 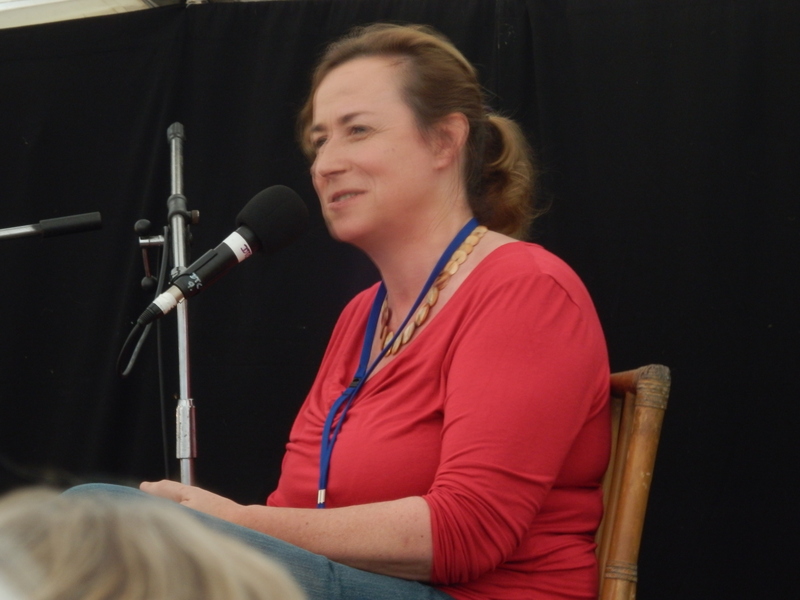 Earlier this year, I attended and editing course in Bellingen, led by Laurel Cohn. During the course of the workshop, Laurel read my synopsis for Beyond Happily Ever After/The Wrong Prince/After Ever After (No, I haven’t settled on a title yet) and identified a flaw in the plot, telling me ‘That wouldn’t happen.’ Laurel was right and I had to work out a way to get Jared into Henry’s employment at the time I needed him to be there. It meant rewriting several scenes, but a disguise, a new name, a tour of several famous horse races and Jared is logically back right where I need him. His hair has changed colour and his facial hair means that he’s not recognised immediately, and with his denial of his former life, he has key characters second-guessing that they know his true identity. Plus, I added a chase on horseback. That simple change resulted in intrigue and suspense in a scene that was previously quite preditable. During the Festival, I made sure that I thanked Laurel for her input and that I had fixed the plot problem. I am friends with Shelley on Facebook and I follow Anita on Twitter. Whether you connect online or seize the opportunity at a Festival or conference, it’s important to keep the connections going. There was another author at the Festival that taught a workshop I attended, but she told me that I was too good a writer to be wasting my time on genre. Nice back-handed compliment, but a total diss of what I want to write, so no, I did not cherish her or seek her out. Networking – learn it, practice it, do it. Cherish your writing mentors. ← Are you ready to bust loose with Moving Pictures? Great blog, Diane, and a subject not often addressed. For me, mentoring is a way to give back to a profession I love, and I “get” Shelley’s delight in her mentee’s achievement. I feel the same about the amazing self-styled minions, past winners of the Valerie Parv Award, as they streak ahead in their careers. It’s wonderful to have played a small part. FWIW I like the title, “After Ever After”. It’s symbolic, thought-provoking and memorable. Thanks for dropping by, Valerie. I know there are a lot of minions out there who are grateful to have had you as a mentor. And ‘After Ever After’ was a suggestion by Alicia, who recently joined NVWG. It is definitely catchy. Great article Diane. It can be an incredibly supportive environment, if we take the risk of putting ourselves out there.